We’ve seen some huge strides in artificial limbs in the past few years, and we’ve blogged about them before, too. Here’s the latest one, a bionic leg for Zac Vawter, who lost most of his right leg in motorcycle accident in 2009. 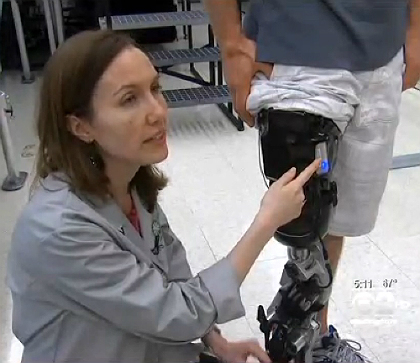 Now, he’s the first tester for an incredibly impressive bionic leg that is hooked up to the nerves in his leg. Now, he can walk almost as well as before the accident. I’m really excited to see the advancement in this tech, and I hope more people will support this kind of work. It’s groundbreaking stuff!